Erdogan spoke Saturday at the ribbon-cutting for a mosque in Cologne belonging to the Turkish-Islamic Union for Religious Affairs. He decried the treatment of Mesut Ozil and Ilkay Gundogan, German national team players who were widely criticized for posing for a picture with Erdogan. Erdogan faced criticism at a state dinner Friday from President Frank-Walter Steinmeier over arrests of journalists, trade unionists and academics in a crackdown after a failed coup last year. Turkish President Recep Tayyip Erdogan is speaking at the inauguration of a mosque under heavy security as he winds up a visit to Germany. Thousands of police secured the area Saturday around the mosque in Cologne, after a demonstration outside the complex by supporters was barred by police for security reasons. Hundreds of anti-Erdogan demonstrators gathered at a separate area. Hundreds of people have gathered in the German city of Cologne to protest against a visit by Turkish President Recep Tayyip Erdogan. Erdogan is due to open a mosque which was built by a group with ties to Turkey in the city on Saturday. Several thousand people also demonstrated against Erdogan in Berlin on Friday night. Erdogan is in Germany for a visit aimed at reducing tensions between the two NATO allies. He had breakfast with German Chancellor Angela Merkel in Berlin on Saturday. Germany and Turkey have clashed over numerous issues in recent years, including Turkey’s jailing of German journalists. 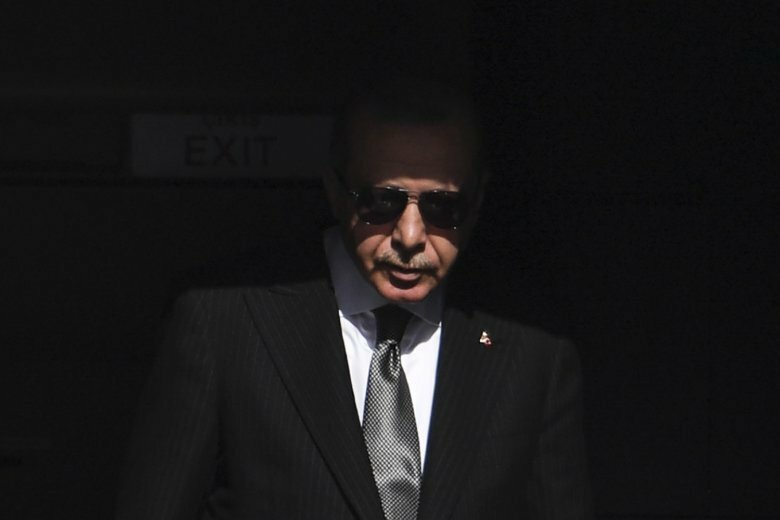 The rhetoric escalated to the point where Erdogan called Germany’s mainstream parties “enemies of Turkey” and accused German officials of acting like Nazis, prompting Merkel to condemn his comments.